We often review high-end PC systems geared toward the enthusiast. Rarely costing less than £1,000, oftentimes much more, their appeal is limited to gamers and serious content creators. And tiny it is, too, measuring just 70mm x 70mm x 33.4mm. Think about that for a second. Such dimensions are smaller than a third-generation Amazon Echo Dot - you can even put two side by side on, say, an iPhone XR mobile phone - and it's sensible to see that Liva Q2 supports 75mm and 100mm Vesa mounts, enabling it to be out of sight when attached to most monitors: ECS provides the relevant screws, as well. Build quality is surprisingly good for a 260g unit whose chassis is made entirely out of plastic. 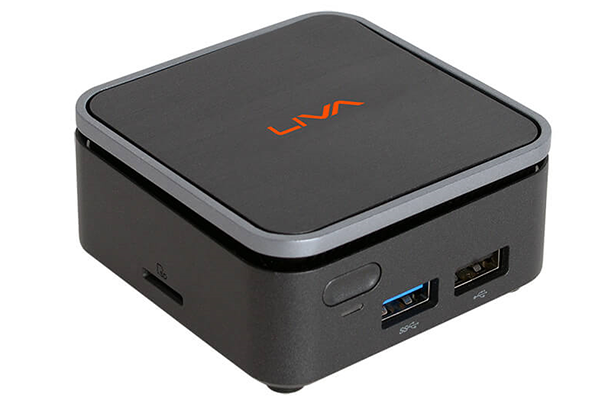 Liva Q2 is plumbed with USB 2.0 and USB 3.0 on the front, located underneath the small power button and associated green activity LED. ECS includes vents on all four sides. They're needed because the underlying SoC has a 40mm fan attached near the top. It's only operational when the going gets tough, and the reassuring aspect is that it's never noticeable from more than a couple of feet away. We reckon you would barely hear it if mounted behind a monitor. Gigabit Ethernet and HDMI make sense, plus an SD-card slot that supports 128GB of expandable storage. It may be needed because the unit features either 32GB or 64GB of eMMC storage, and we believe the former is not nearly large enough for anyone but the most cloud-centric users. Four rubber feet provide solid contact with the surface and have internal screws that offer access to the innards, where the PCB is well put together. Inside, Liva Q2 is built around Intel's Gemini Lake platform and offered with a choice of Celeron N4000, Celeron N4100 or Pentium Silver N5000 processor options. The top spec, in for review today, is the quad-core N5000 chip paired with 4GB of LPDDR4 memory and 64GB of eMMC storage. Shipping without an operating system, one can expect it to cost in the region of £220. 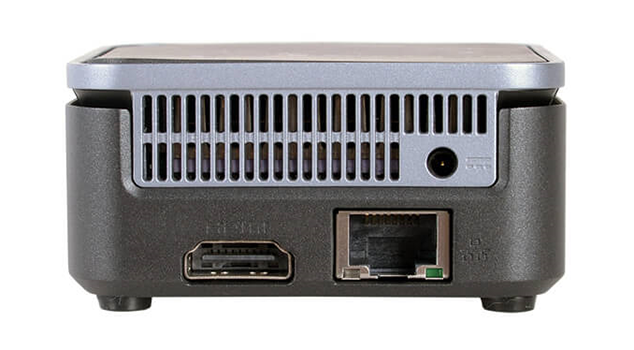 The choice of platform lends itself to the Q2 being purposed as a media-centre PC, too, as the integrated, 18-EU UHD 60x graphics support HEVC 10-bit decoding, 4K60 resolution, and accelerate all common codecs. That said, they have little on-paper gaming potential. It's sensible that ECS includes both 802.11ac WiFi and Bluetooth 4.1 connectivity because having only two USB ports, ostensibly for keyboard and mouse, otherwise hinders the usage of USB pendrives. Could the Liva Q2 have added a third USB port to alleviate this potential issue? 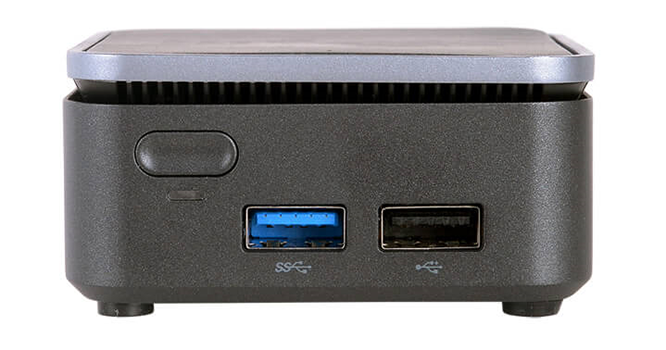 For those whose space requirements are not so severe, Intel's own barebone NUC7PJYH kit, costing £165, is a reasonable alternative, fitting in six USB ports with ease. Back on point, ECS bundles in a 24W passive PSU. Sounds measly, but as you will see later on, this is a PC that excels in energy efficiency. Primed for entry-level usage, let's now see it if it can run common tasks without hiccup.